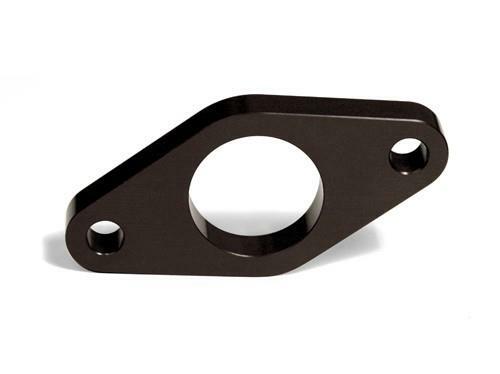 BLOX Clutch Master Cylinder Adapter - Pann Auto Performance - San Diego largest aftermarket automotive performance parts - What do you drive? The BLOX Racing S2000 Clutch Master Cylinder Adapter allows enthusiasts to directly bolt on a BLOX clutch master cylinder inside their Civic or Integra engine bay. Using the S2000 CMC helps complete your wire-tucked, engine bay. The CMC can also be used with an OEM Honda S2000 clutch master cylinder. The BLOX S2000 Clutch Master Cylinder is available separately and is also an ideal direct OEM replacement product for the Honda S2000. BLOX CMC Adapters are available in anodized black, silver and raw aluminum.